There are several scams making their way around Facebook at the moment. 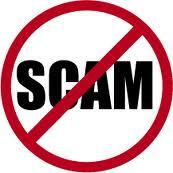 Many of the ones now active are recycled versions of scams we have seen before. Most of them are using rogue Facebook applications or browser extensions to spread from user to user and a good many of the scams present a survey scam as the end game. The following list is not exhaustive, as it is impossible too keep up with every active threat on the Facebook platform. We recommend reading our Top Ten Facebook Scams to Avoid and Beware of Freebook Freebies if you haven’t done so in the past. Also, if you are not that familiar with survey scams, then this guide should prove helpful as well. U.S. Attacks Iran and Saudi Arabia. F*** 🙁 The Begin of World War 3? [Video] See what Happened to his Ex Girlfriend! OMG! I just n0ticed who keep watching my profile and photos. It was really shocking to know – remember all apps like this are scams!